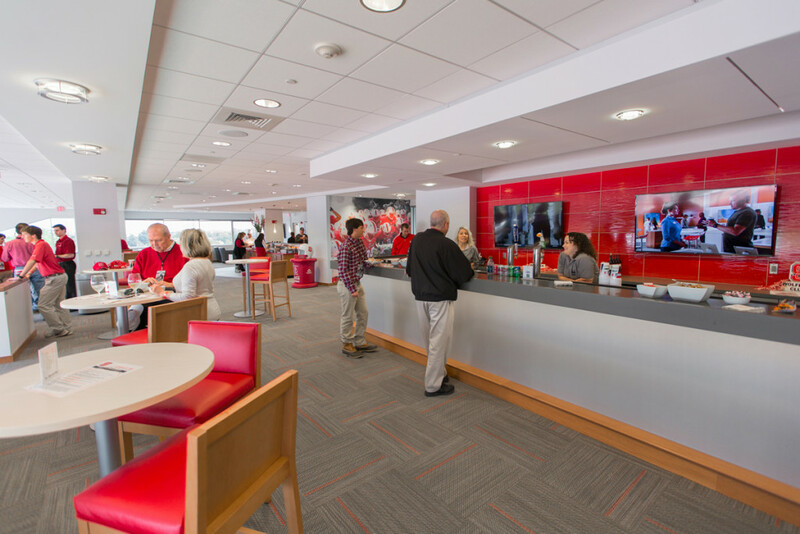 C. Richard Vaughn Towers opened in 2005. 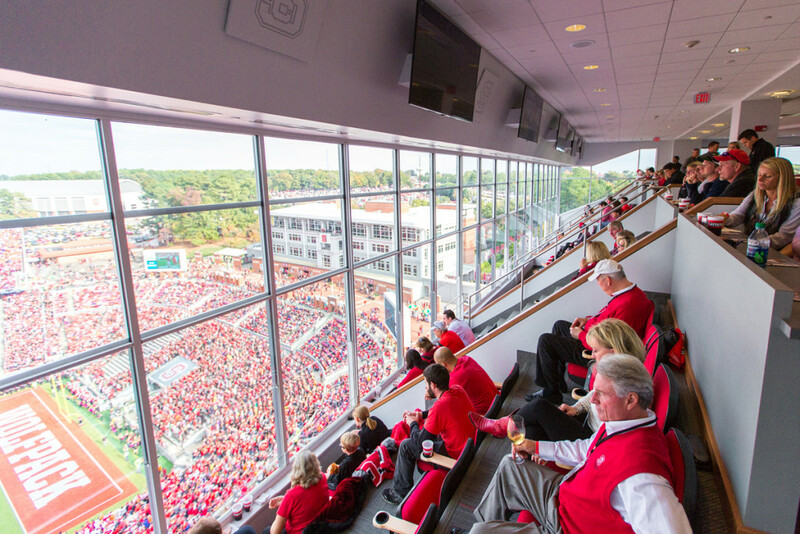 The 110,000 square foot, three level facility overlooks Carter Finley Stadium and incorporates 44 luxury suites, the 10,500 square foot Dail Club, the Chancellor’s Suite, a state-of-the-art working press area, and the newest premium seating area, the Wolves Den. 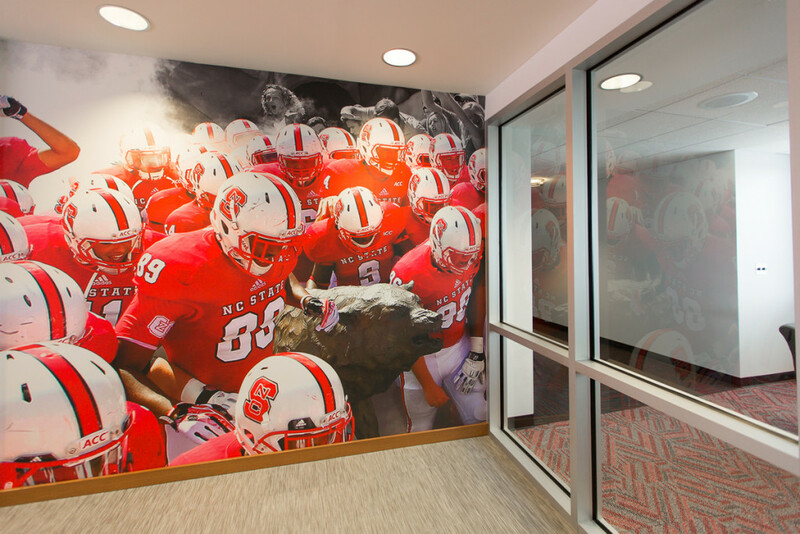 The Wolfpack Club reached out to HagerSmith in 2014 to study converting 7 unsold luxury suites into an upscale club setting. 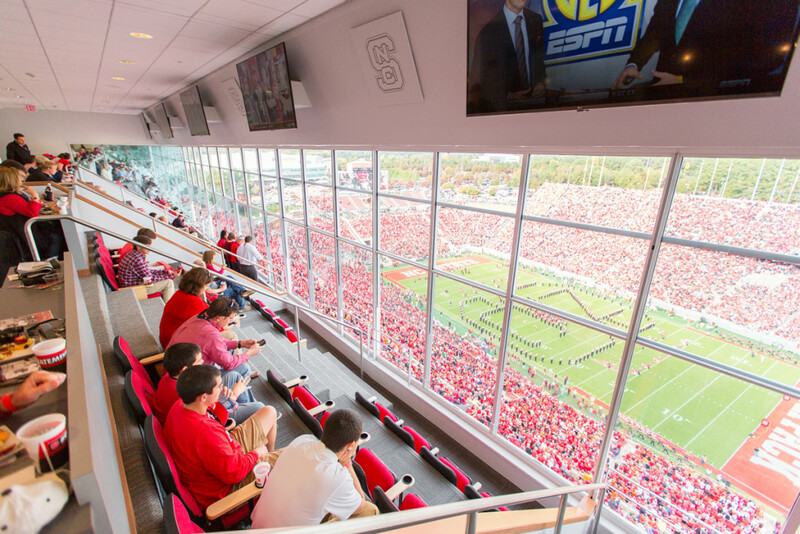 Plans for the Wolves Den were completed in 2015 and the spacious 112 seat premium seating venue sold out quickly. 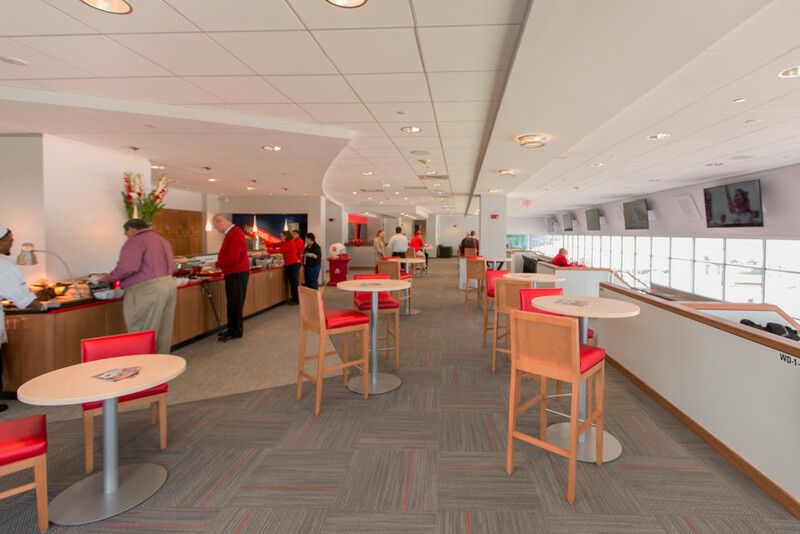 The Wolves Den offers donors and fans a large common area, upscale catering space, a bar area, and private lockers. 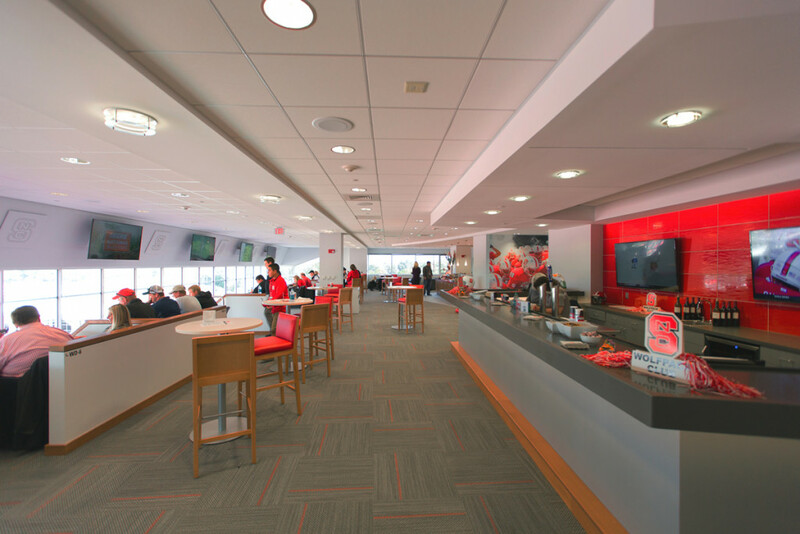 The space functions well beyond football season as it is in demand for corporate and private events.